Your website is one of the most important assets of your business or organization. It’s critical that your clients are able to reach your site quickly and consistently, and that the content is trusted. Building a great website on a solid platform like WordPress is the first step. When it’s launched, everything is sparkling and up to date. So how do you keep it that way? Keep your content fresh. Out-of-date content leads visitors to worry that the content may no longer be current and correct. And Google rewards frequently-updated content with higher rankings. Prevent malicious or accidental damage to the site. As with any popular software, WordPress websites are targets for hackers who want to take sites down or infect them with malware. Keep your WordPress and plugins code up to date so that you have the latest security features. Regular backups are critical for a timely restoration in the event that your site is damaged. Review your site periodically for incremental improvements that can add new features for your visitors, improve performance, or make it easier for you to manage your site. WordPress is regularly updated with new features, and there are thousands of plugins that can add functionality. Establish a relationship with a WordPress-savvy website developer or support service that you can call on if things go wrong in spite of your best efforts. At this point you may be wondering where you are going to come up with the time and expertise to do all of this. Frankly, unless your primary job is managing the website, it probably doesn’t make sense for you to do it yourself. You almost certainly can provide value to your business or organization in more direct ways. Fortunately, there are WordPress maintenance services available. 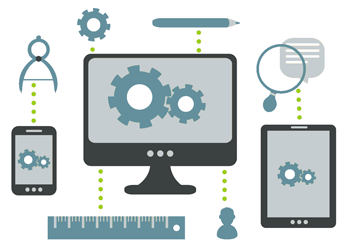 We offer ongoing maintenance as an option to our customers when we build a new website or overhaul an existing one. If you’re interested in working with us, ask about our maintenance services. If you’re not one of our regular customers, we suggest that you find a developer that you can work with on an ongoing basis. Or you may decide to sign up with one of the companies whose primary focus is WordPress maintenance. Here’s a list of some articles published in the last six months that have helpful lists of WordPress maintenance service providers. Most providers’ plans range from $50 to $100 per month for the regular updates you’ll need to keep your site safe and secure. Please understand that we are not recommending for or against any particular service, as we do not have personal experience with them. We suggest you research carefully before entrusting your site to anyone.